December brings holiday bustle - Be sure to keep this so you know all that's going on at CMA! There will be no classes after 9:30am on Saturday, December 1st due to in-school testing. Good luck to everyone who is up for a belt promotion! Parents! We have a very special event happening on Saturday, December 15th from 2-4pm tailored especially for you! Drop your kids off at the dojo and head out to finish your holiday shopping. 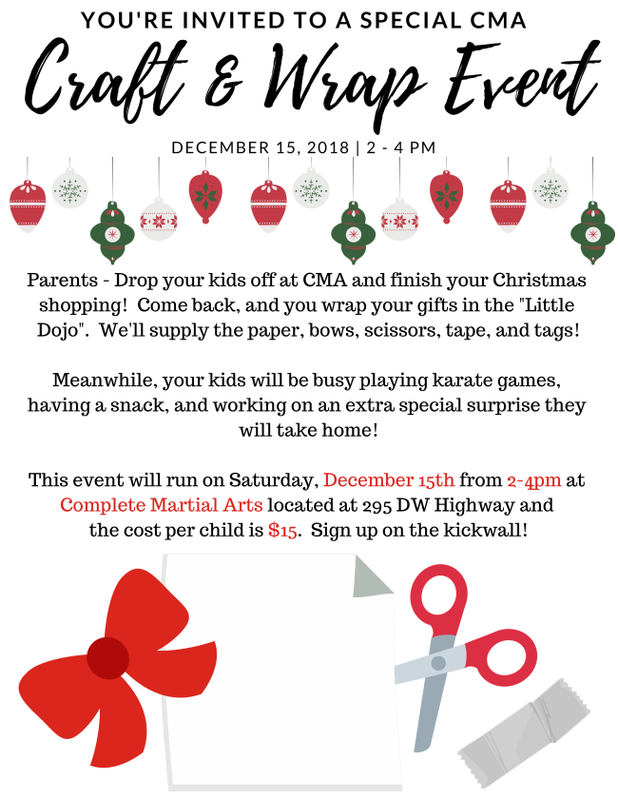 Then, come back to the school, and wrap your presents in the little dojo - we will provide the wrapping paper, tape, bows and gift tags! In the meantime, your kids will be enjoying karate games, snacks, and will be making a very special surprise for you! The cost is $15 per child to cover materials for their day. Please see the flier later in this email for more information and sign up on the kickwall so supplies can be ordered! You are invited to join us for our annual CMA Christmas party, gift swap, and pot luck! This will be happening on Wednesday, December 19th from 6:00pm - 7:30pm. Signups are on the kickwall for your Pot Luck dishes and for Volunteers to help set up, distribute food, and cleanup afterwards. Please see this flier for more information! We will be closed for Winter Break from Saturday, December 22nd through Tuesday, January 1st. We will re-open for classes on Wednesday, January 2nd. We want to wish everyone a very happy and safe holiday! Our December calendar is completed and copies will be available next week in the Homework Bin while we continue to make improvements to our facility. Did you know that we have an Instagram page? 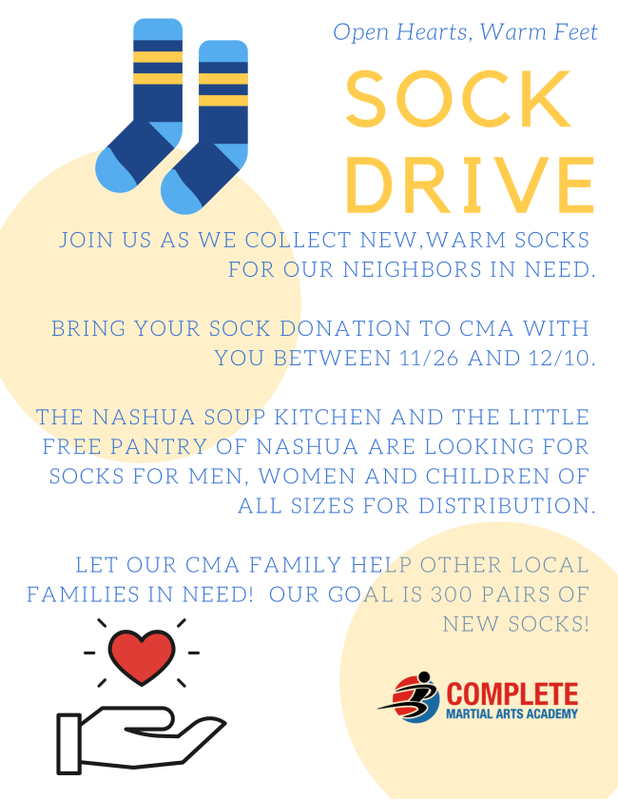 Follow us at @cma_nashua to see candids of students in classes or short videos featuring what we are working on. Do you have a photo of your student that you would like featured on our Instagram and Facebook pages? 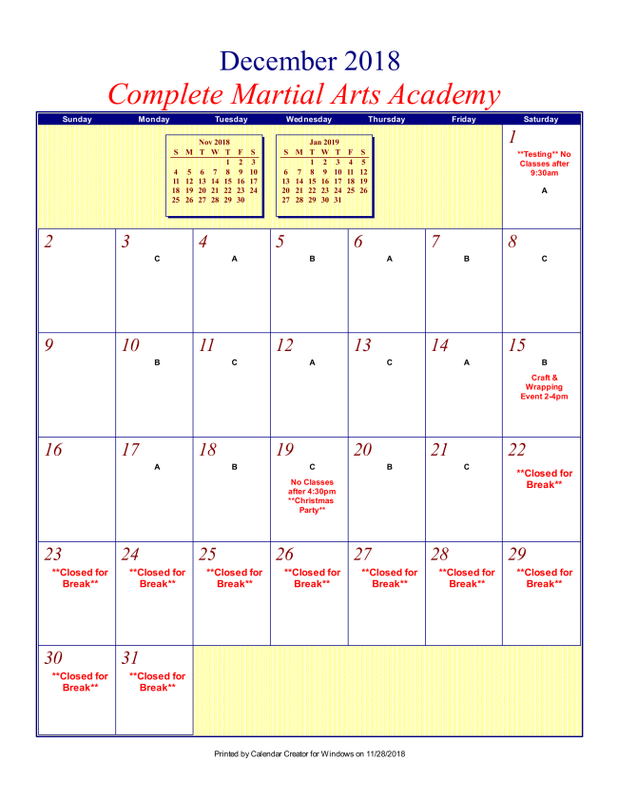 Send them to Amanda at office@cma-martialarts.com to be featured!